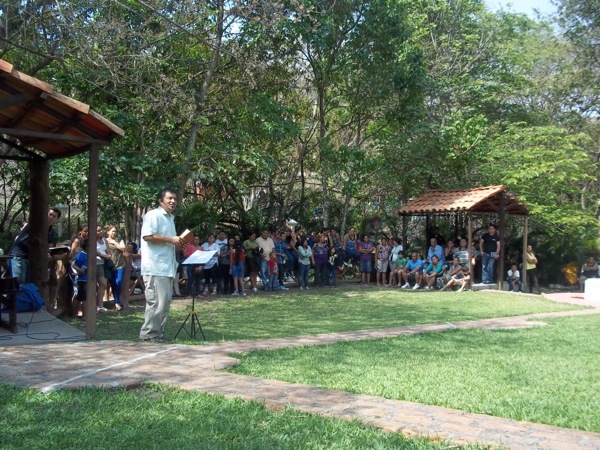 Last month at the beautiful, “Centro Turístico Jireh,” a retreat center just outside Tegucigalpa, all four POI churches baptized 9 people, five of whom were from San Juan. 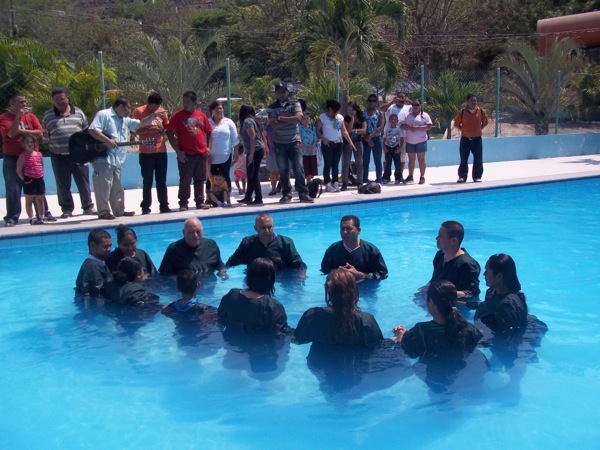 Pastor Miguel spoke the congregations about the meaning of baptism. 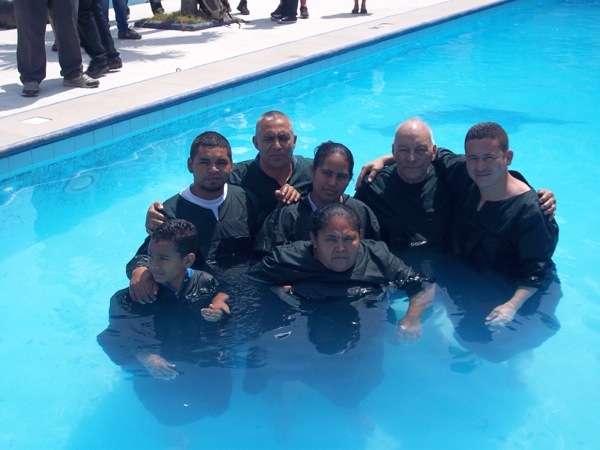 The new Christians were baptized by Pastors William and Pastor Yovani. In addition to this, San Juan celebrated their fourth anniversary last month. 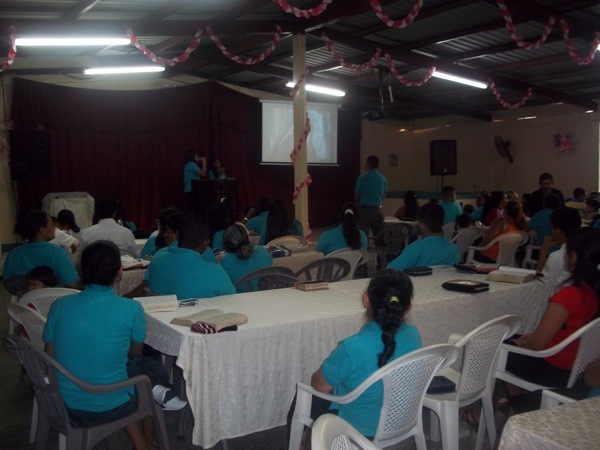 About 85 adults and 35 kids came to celebrate and listen to Pastor Yovani preach from 1 Corinthians 15. Dinner was served to the congregation. Both the kids and youth participated in with singing and skits. We are so thankful for the generosity of so many who make this possible. If you sponsor a child at San Juan or at any of our programs, thank you! You are making an eternal impact not only on these children, but on their families and communities as well. To learn more about sponsoring a child or to find out other ways to give, just click here. Therefore, if anyone is in Christ, he is a NEW CREATION. The old is gone and the new has come.